Animal Systems Ltd [ASL] recognises that in order to provide and maintain a consistently high quality in the work it undertakes, an effective Quality Management System [QMS] is necessary to ensure that appropriate communication, training, work control and accountability are undertaken through the organisation. We are therefore totally committed to setting and achieving quality standards that are capable of meeting the specified requirements and reasonable expectations of our customers. 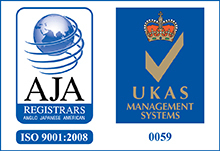 To ensure that we deliver to the highest standards in our sector we follow strict development and manufacturing procedures that adhere to the principles laid out in the ISO9001:2008 Quality Standard. Remember we are here because of our customers and that through 'on-time delivery' of 'defect free equipment' at a 'fair market price' is how we will keep them. Achieve customer satisfaction by continually improving processes, products and services to ensure they consistently meet or exceed customer requirements. Ensure staff are trained and supported in carrying out their tasks and following the processes laid out in our quality manual. Solicit client feedback on all aspects of our operations which is reviewed by our senior management team and used as a basis for ongoing improvements to our operations.